For affecting the features of Sintered Components, shape, dimensions, size and powder particles distribution are very important parameters. Sintered Components have various features like best mechanical strength, High Efficiency, Corrosion Proof. Sintered S.S. Cartridges are manufactured from the cold ISO pressing which provide the stability of its shape also make it very strong component. 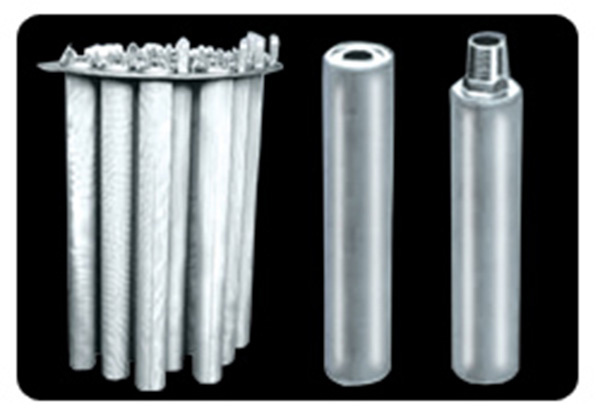 We are the leading manufacturer and exporter company of Sintered Powder Cartridges in Ahmedabad, India. We are the most reliable supplier of S S Filament Cartridges in Ahmedabad, Ankleshwar, Baroda, Mumbai and Mumbai and many more cities of india. If you want to find more about the manufacturer of S S Filament Cartridges in India then contact us or email us for getting free catalogue of S S Filament Cartridges. Shape - Stability - Self - Supporting Construction. High Heat proof & have Thermal Stability up to 900 to 1000° C.
High Permeability form Low Pressure Drop. Definable Pore Size Distribution for Easy Cleaning. Micron rating from 0.5 to 200µ. 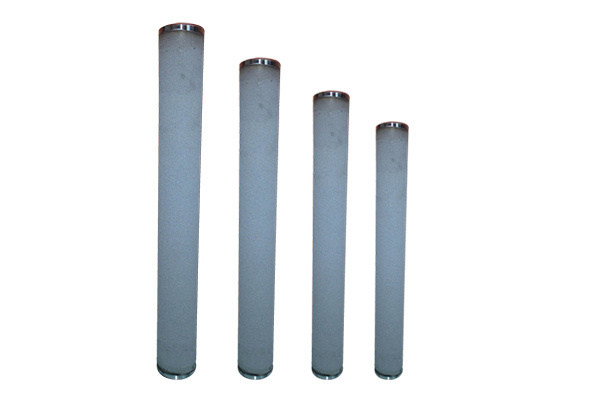 Cylinders range of 10" to 40", with adopters. Steam Filtration and High Temperature Gases & Liquids. Gases & Liquids Catalyst Recovery. Used in Tanks & Vessels.